Are you looking for a domicile address for the placement of your company’s main office? Are you looking for a quiet workplace for a few hours or days? Do you wish to receive your clients in a professional environment? If you wish to use a hot desk fulltime (furnished office), we can offer you this for the price of €360/month (VAT excluded). Benelux Businesscenter NV offers you a complete package of services while using an office. 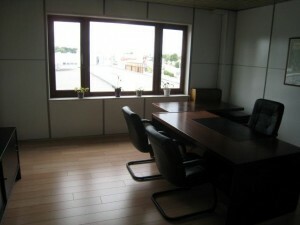 You can utilize our entirely equipped offices from 9 up to 180 m2. The fee is being determined on the basis of the chosen space. We like to make you a tailor-made offer.